I just need to apologize for the lack of ( as in absolutely none) posts as of late. I have started a new semester and am finally settling in so expect new updates in the coming weeks! As always, if you have any requests let me know and I will do my best to show something that may be of interest to you. 300 million year old 3D Daddy Long Legs! 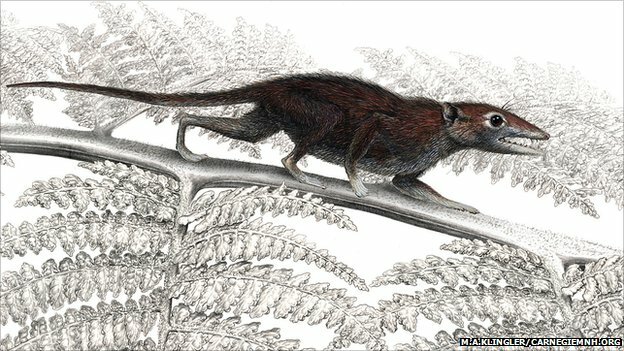 A new article released this week describes a newly discovered species out of China from 160 million years ago that is the earliest known placental mammal, diverging from the marsupial form of reproduction. 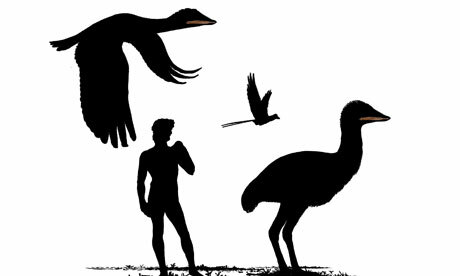 This was just the beginning of the great divergence of placental mammals that include us! 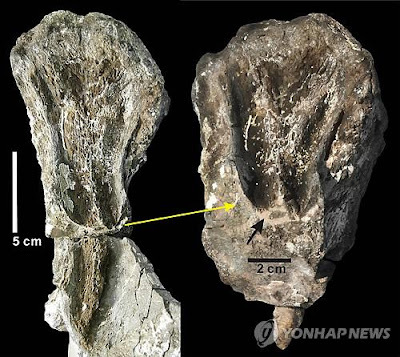 Palaeontologists in South Korea have described what they are claiming as the largest carnivorous tooth marks on the tail bone of a herbivorous dinosaur. The largest of the marks ran 17 centimetres long, 2 centimetres wide and 1.5 centimetres deep. 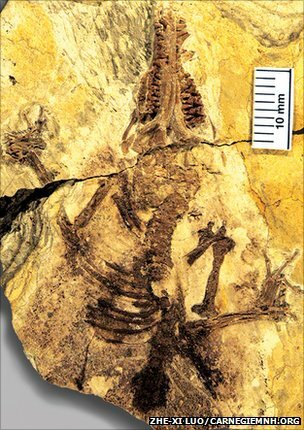 There is also evidence that several different dinosaurs fed on the same prey item by tooth mark evidence! Most complete Thalattosaur ever discovered in Alaska! 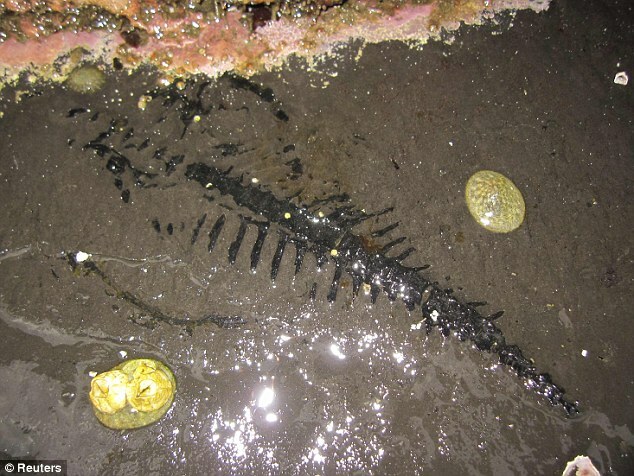 check out this article for a story on a thalattosaur discovery made in Alaska that was just recently published on. 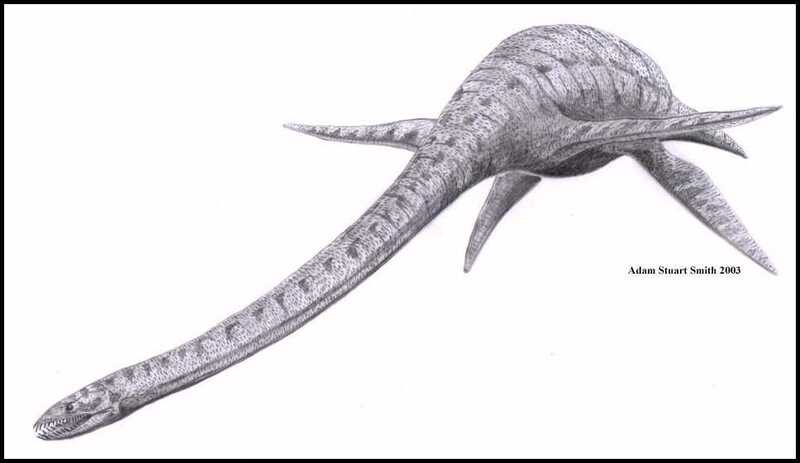 Thalattosaurs were a group of marine reptiles that lived during the Triassic Peiod, and are rare finds. This discovery will help significantly in understanding more about their biology! 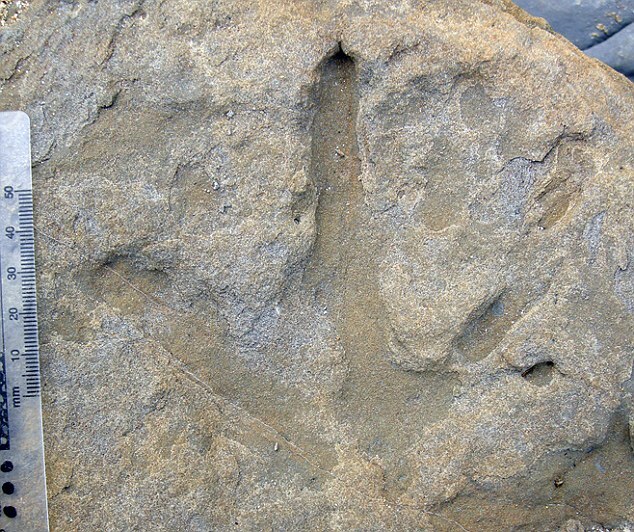 A new set of polar dinosaur footprints found on Australia’s coast has provided the largest and most well preserved set of tracks known of polar dinosaurs in the Southern Hemisphere. Check out this article for more details and be sure to check out the video on the same page at the bottom of the article! 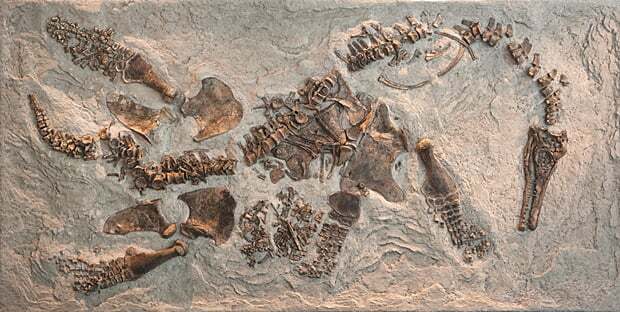 Check out this link about a 72-78 million year Plesiosaur found in the mid-west of Kansas with a young fetus preserved inside of it! Check out this newspaper article for story on a fundraising benefit held in Grand Prairie, Alberta which was attended by actors such as Dan Aykroyd, Robert Kennedy Junior, Lorne Michaels, Michael Budman, Matthew Gray Gubler and Patricia Cornwell.